Temporarily out of stock. We have an estimated arrival date of Feb. 21, 2019 and will have a brand new label design! We're sorry for the delay. Similar vegan enzymes on the market normally retail for around $45 or even higher. This is a bargain! Are you part of a growing health problem in the U.S.? More than 60 million Americans experience digestive problems ranging from indigestion, bloating, lactose intolerance, gas, acid reflux, diarrhea, and stomach cramps. As a person gets older, GI tract function often slows down, leading to incomplete digestion which contributes to hiatal hernia, gastritis, ulcers, hemorrhoids, constipation, cavities, gum disease, food allergies and colon cancer. Most everyone is accustomed to eating cooked foods, foods that have lost their vital enzymes, leading to a deficiency of digestive enzymes. 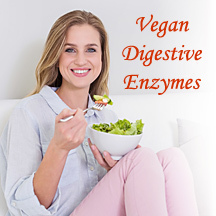 Since digestion is a top priority, when digestive enzymes are deficient, the body robs its own metabolic enzymes in order to provide the enzymes to digest food, causing a metabolic enzyme deficiency. Metabolic enzymes break down tumors, dissolve calcium deposits, repair tissue damage, destroy germs, and have many other crucial functions, so a lack affects of these enzymes affects the entire body. Natural healers through the ages have all emphasized to us that proper health depends mainly on how well we digest our foods. 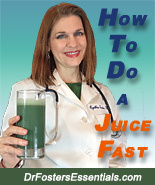 Healing any disease must involve healing the digestive tract and digestion first and foremost. Undigested foods end up as toxic metabolic waste that can enter the bloodstream and poison cells all over the body, leading to many diseases. The Ayurvedic doctors call this undigested food "ama." Highest quality plant-based cultured enzymes active in a broad pH range (2 - 12) in the digestive tract: Acid Stable Protease, Peptidase, Protease, Alpha Galactosidase, Amylase, Cellulase, Glucoamylase, Hemicellulase, Invertase, Lactase, Pectinase-Phytase, Xylanase, Lipase and Catalase. This is a 100% vegan formula. Size: 90 Vegetarian caps. At the average dose of 1 capsule 3 times daily, it will last 30 days. People who have a stomach ulcer (gastric or peptic) should use only with caution. Enzymes of all types have a very beneficial natural blood thinning effect, however, they should not be taken within the 10 days before or after surgery.